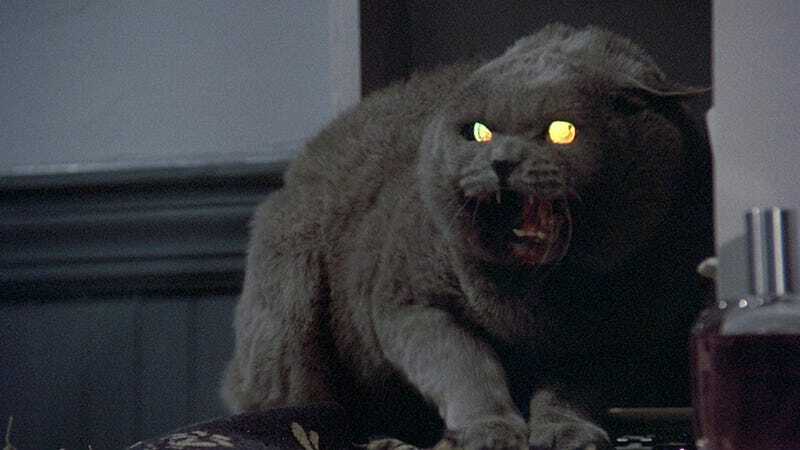 Aside from casting updates, few details have clawed their way out of Kevin Kölsch and Dennis Widmyer’s remake of Pet Sematary, Stephen King’s infamous tale of the death-addled Creed family, their persistent kitty, and the Indian burial ground in the woods behind their house. That changed today thanks to Entertainment Weekly, who’ve returned from a set visit with plenty of details (and, likely, a bit of a hitch in their step). The biggest takeaway is that several key characters will manifest much differently here than they did in Mary Lambert’s 1989 adaptation. Zelda, the deformed sister of the put-upon Rachel Creed (and, arguably, the most pants-shittingly scary part of Lambert’s movie), will hew closer to the book’s depiction, with her being played not by an adult, but rather a 10-year old girl. Doomed jogger Victor Pascow, meanwhile, will carry more heft here than he did in Lambert’s version, which depicted him as a corny, blood-splattered spirit. “We have this very normal student, but the voice that’s speaking through him is an ancient voice trying to warn him,” Widmyer said of the character. And then there’s neighbor Judd “Sometimes Dead Is Better” Crandall, who was memorably played by Fred Gwynne in Lambert’s version but will here come to life via the venerable John Lithgow. Lithgow’s Judd, according to the actor, will be a sadder, more isolated figure than that of the chummy Gwynne. Head over to EW to also check out some on-set photos, which feature the majority of the cast (both human and feline) and a first look at the sematary (sorry, cemetery) itself.